Dartmouth’s Geisel School of Medicine has been awarded a 5-year, $1.5 million grant from the Fogarty International Center at the National Institutes of Health to support an infectious disease research and training program to combat HIV and tuberculosis (TB) within the newly established Infectious Disease Institute (IDI) at Muhimbili University of Health and Allied Sciences (MUHAS) in Dar es Salaam, Tanzania. The new MUHAS Academic Medical Center in Dar es Salaam, Tanzania. Building on Dartmouth’s prior Fogarty-supported capacity building activities—the successful DarDarprograms in partnership with Boston University and MUHAS—this new grant will establish IDI’s collaborative mentoring program for junior faculty researching HIV and TB, enabling them to obtain independent funding. Geisel’s research collaboration with MUHAS began in 2001 with the initiation of the DarDar TB vaccine trial. 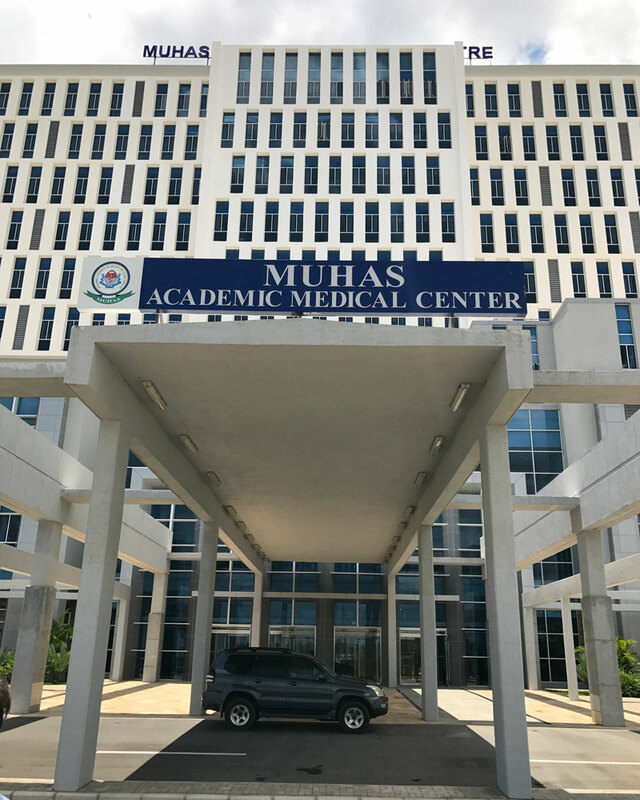 IDI, an integral part of the MUHAS’s College of Medicine and School of Public Health, will offer critically needed training, continuing professional development, and consultancy in infectious diseases, research, and outreach services. Its goal is to create a pool of healthcare professionals and researchers competent in conducting research, training, mentoring, and quality management of infectious and tropical diseases. HIV and HIV-associated TB remain dominant health issues in Tanzania despite recent progress in HIV control and prevention. With an estimated 54,000 new infections each year—6,500 occurring in children under the age of 15—TB is the principal cause of death from HIV. Control of HIV-associated TB remains a priority of the Ministry of Health and Social Services in that country, with MUHAS’s College of Medicine leading the effort. Previous Dartmouth-Boston University-MUHAS grant-funded programs have produced landmark studies in the epidemiology of HIV, TB, HIV-TB, clinical features of adult and pediatric HIV-TB, vaccine trials to prevent HIV-TB, and nutritional supplementation for women with HIV-TB. Along with Adams, Geisel faculty involved with this initiative include Ford von Reyn, MD; Jay Buckey, MD; Modupe Coker, BDS, MPH, PhD; Timothy Lahey, MD, MMSc; Todd McKenzie, PhD; Paul Palumbo, MD; Lisa Purvis, MBA, MPH, EdD; Elizabeth Talbot, MD; Michael Whitfield, PhD; and Peter Wright, MD. 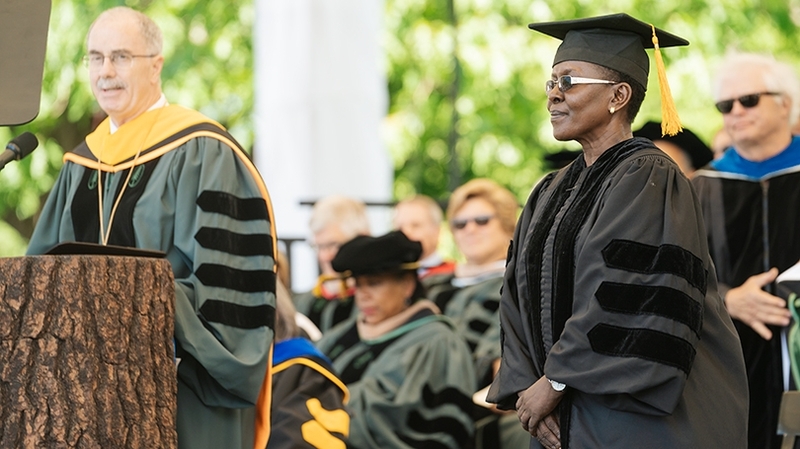 Sylvia Kaaya, MD, PhD, dean of the School of Medicine at MUHAS, received a Doctor of Humane Letters honorary degree from Dartmouth during last week’s commencement. She was recognized for her collaborative epidemiological research in perinatal depression among women, including those living with HIV, and in understanding risky behavior among adolescents. Kaaya and her colleagues are committed to developing interventions that could be scaled up in countries with limited resources. The Fogarty International Center advances the mission of the National Institutes of Health by supporting and facilitating global health research conducted by U.S. and international investigators, building partnerships between health research institutions in American and abroad, and training the next generation of scientists to address global health issues.